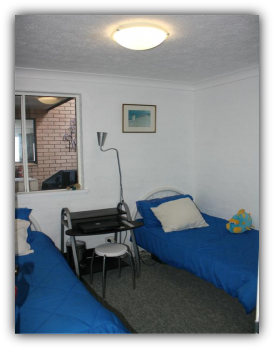 Apart from Squeakygate Retreat we have a large unit in nearby Yamba. It is called Tarcoola, an Aboriginal word meaning 'river bend'. 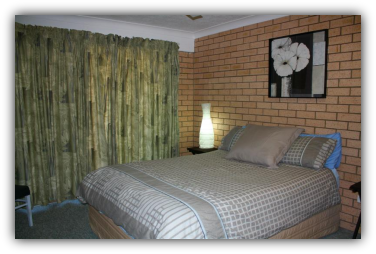 Set high on Yamba hill, Tarcoola 1 is in perfect walking distance to all that Yamba has to offer and is the best value for money holiday accommodation on Yamba Hill! 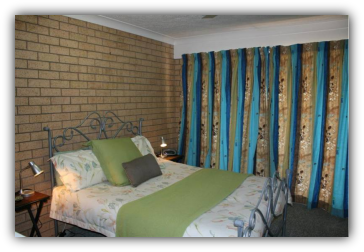 Located within a complex of only four units & featuring picturesque views of the Clarence River and surrounding areas, this property is ideal for those wanting to relax and escape. 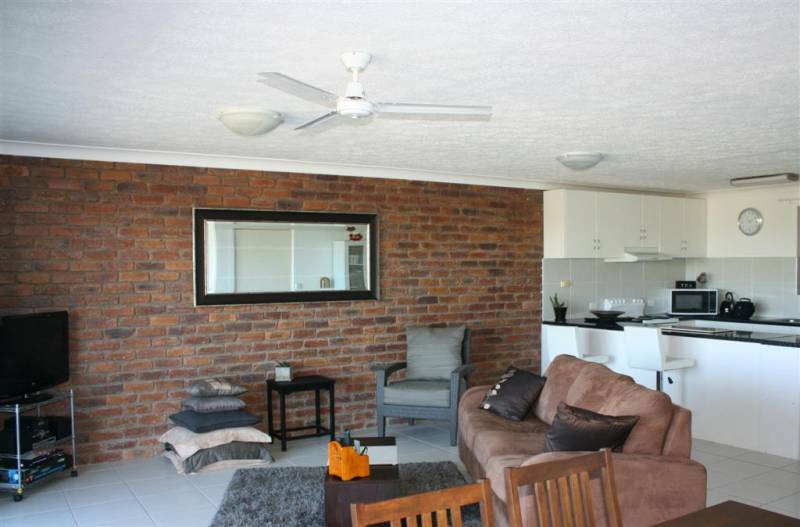 The property boasts a large open plan tiled kitchen & living areas which flow out onto a covered verandah area which enjoys cool breezes and elevated views of Yamba Bay and beyond. 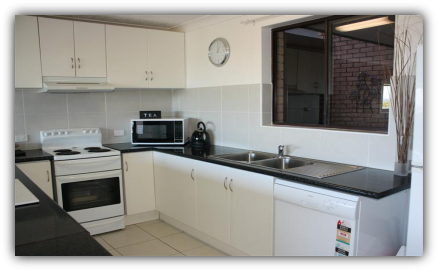 Well appointed and equipped throughout with three bedrooms (two of which have balcony access) and a private ensuite off the master bedroom this property is suitable for a budget family holiday or romantic getaway at a price that wont break the bank. Start the day with a walk around Yamba's lighthouse where you can enjoy 180 degree ocean views while trying to spot the dolphins at play, then come back and enjoy breakfast on your sunny verandah with the paper. 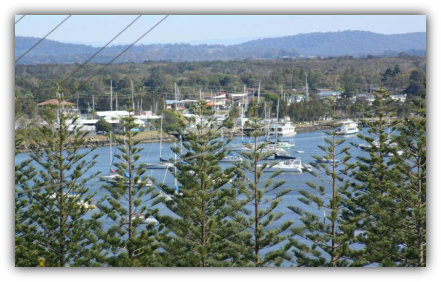 Spend the day enjoying the beautiful beaches Yamba has to offer, which are within easy walking distance of your holiday home. After a day filled with fun in the sun relaxing at the beach you can enjoy a scrumptious dinner at one of the many gourmet restaurants all within easy walking distance of Tarcoola. 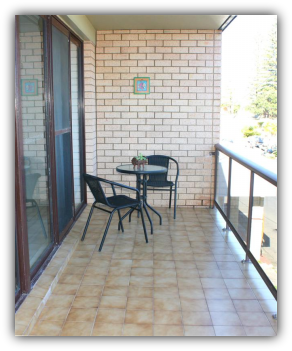 Sun, surf, views and convenience its all here waiting for you to enjoy at Tarcoola 1. Facilities: Bathroom, Bedrooms, CD Player, Dining Room, Dishwasher, DVD Player, Ceiling Fans, Gas BBQ, Kitchen, Lounge, Porch/Deck, Television, Big Screen TV, Views, Washer/Dryer. Activities: Art and Craft, Barbecue, Bushwalking, Dive Charters, Dolphin Cruises, Fishing - Beach, Fishing - Charters, Fishing - Estuary, Fishing - Game, Fishing - Deep Sea, Flora, Golfing, Horseriding, Seakayaking, Photography, Shopping, Sightseeing, Sports Viewing, Surfing, Swimming, Tennis, Walking, Water-based, Whale Cruises, Whale Watching, White Water Rafting. Please contact us for details of prices and availability. See 'Contact Us' above.